Personal umbrella insurance is extra liability insurance designed to help protect you from claims and lawsuits beyond your standard policy limits. It also covers claims that may not be covered under your other liability policies, such as false arrest, imprisonment or slander. An umbrella insurance policy can cover a number of situations, for example, if a guest in your home falls down a flight of stairs and is seriously injured, you may be liable for the medical costs, plus a legal settlement if you are sued as a result of the accident. Your personal liability insurance will cover these costs up to your policy limits, but if the medical bills and legal fees exceed this limit, you will be held responsible for paying the excess out of pocket…However, if you have personal umbrella insurance, it will kick in and provide extra coverage when your primary policies max out. While you may not believe your particular lifestyle warrants additional coverage, the truth is, you just never know when a significant accident or situation could arise. If you find yourself in the middle of a lawsuit, your savings, assets, future earnings, and even retirement funds could be at risk. The coverage and protection of an umbrella reduces your financial risk and gives you peace of mind for the risks you can’t predict. Now that you’ve had a refresher on what umbrella insurance is and how it works, you may find that having supplemental liability protection is the right fit for you. Here are some other advantages of an umbrella policy. Umbrella policies “sit over” all of your personal policies, provided the coverage limits of these policies meet the underlying requirements of the umbrella. This means that you, the residents of your household, and those residents listed as drivers on your auto policy are all protected by your umbrella policy. In addition to protecting you from lawsuits brought against you or a family member, you may also purchase additional coverage for uninsured and underinsured drivers. This provides excess coverage if you are hit by a driver who is uninsured or who has less coverage than yourself. The carrier for your umbrella policy provides legal defence for your claim that is outside the limits of liability. This means that your umbrella coverage limit is not reduced by legal fees. An umbrella is a protection for your assets – Without umbrella insurance, the court could go after your personal property, savings, and even your future income to cover damages associated with an accident. Affordable – Personal umbrella coverage is typically low in cost, providing you with the peace of mind you deserve at a price you can afford. Many find that being financially prepared to deal with an unexpected circumstance makes up for the extra cost. The cost of an umbrella insurance policy varies depending on the amount of coverage you need and the risks being covered. 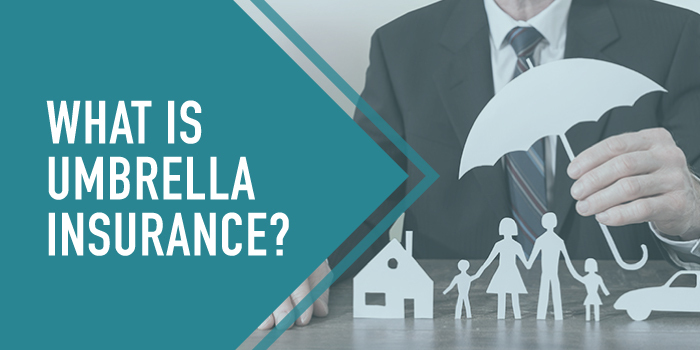 To learn more about umbrella insurance policies, reach out to one of our knowledgeable insurance agents about the level of umbrella coverage that’s right for you. If you are curious how much personal umbrella insurance you can get and for what cost, use our instant quote to find out. If you would like to speak with an agent directly, please call our offices at 818-302-3060.